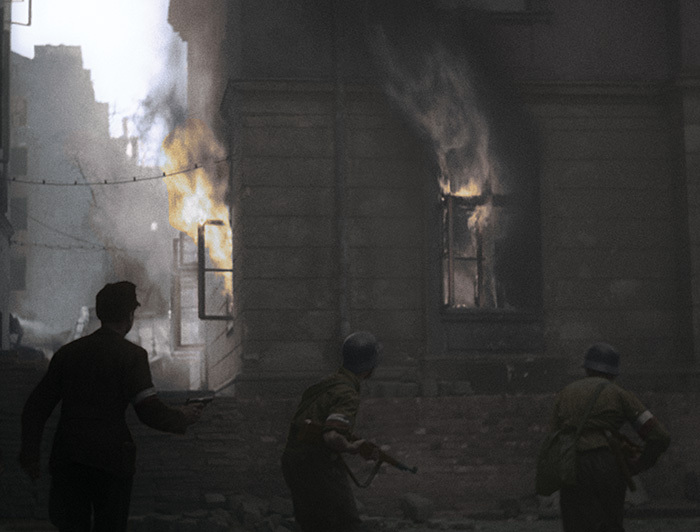 Based on 6 hours of original footage from the Warsaw Uprising, 1440 hours of colour editing, 112.000 selected frames, 648.000 minutes of reconstruction work, 22.971.520 megabytes of data make it the world’s first non-fiction war drama. 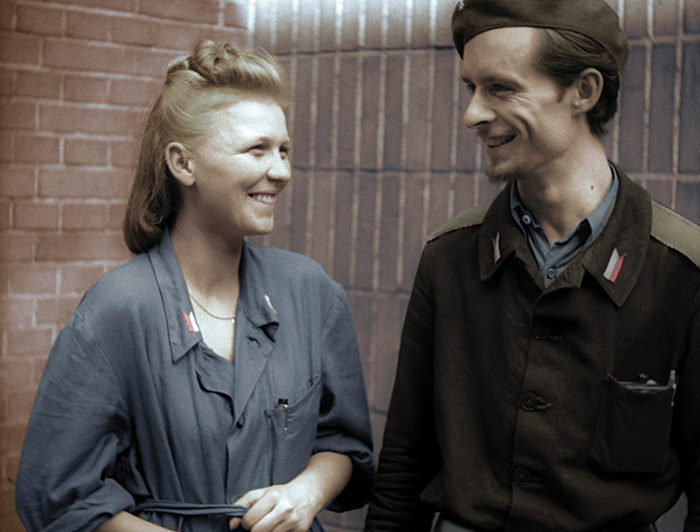 Warsaw Uprising is the world’s first feature film made entirely from documentary materials. It tells the story of the Warsaw Uprising of 1944, through the eyes of two young reporters, witnesses to insurgent fighting. It uses authentic newsreels filmed in August of 1944, and remastered with cutting edge colorization and audio construction. 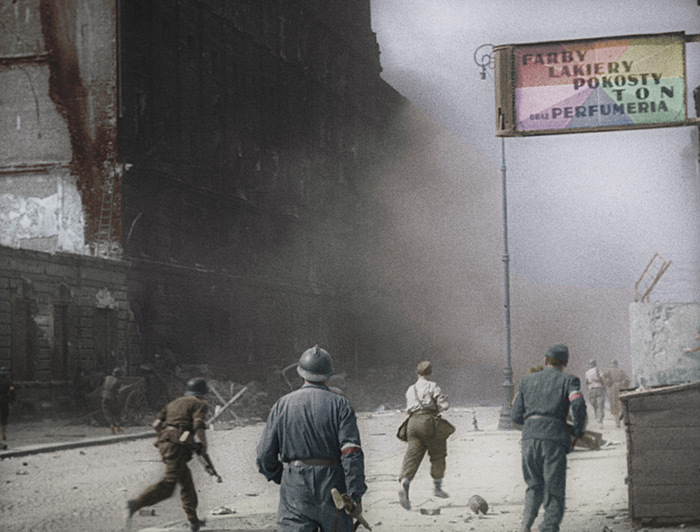 Six hours of original newsreel footage from the uprising of 1944, six months of work, a team of militaria, clothing and architecture consultants, urban planners, Warsaw experts and historians, 1000 of colour editing hours, 1200 shots, 1440 hours of colorizing and reconstruction, 112.000 selected frames, 648.000 minutes of reconstruction, 22.971.520 megabytes of data – these are only some numbers which help appreciate the enormous effort and means put into the Warsaw Uprising project. The result is a 85-minute completely restored coloured and extremely touching film, which shows the historic period with unparalleled realism. 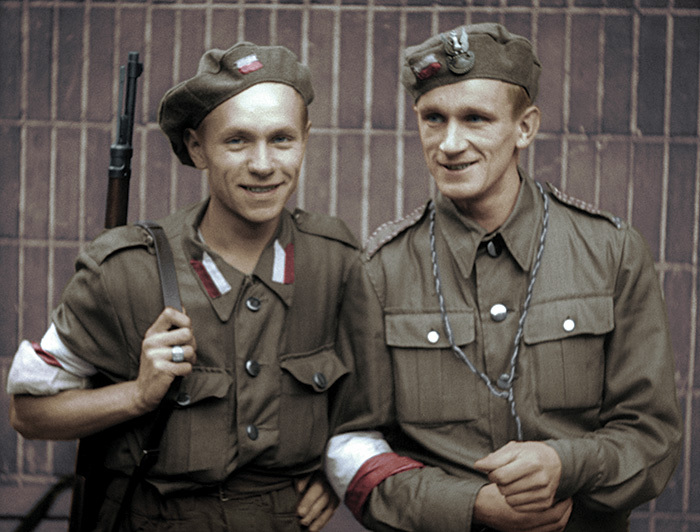 The film, directed by Jan Komasa will premiere on the anniversary of the uprising and is made possible thanks to Jan Ołdakowski, Director of the Warsaw Uprising Museum and Piotr C. Śliwowski, Head of the History Department at the Museum. Jan Komasa (director) came up with the idea for this original storyline. Voice actors enlisted for the project included: Maciej Nawrocki, Michał Żurawski, Mirosław Zbrojewicz. Dialogue was written by Joanna Pawluśkiewicz and Michał Sufin. 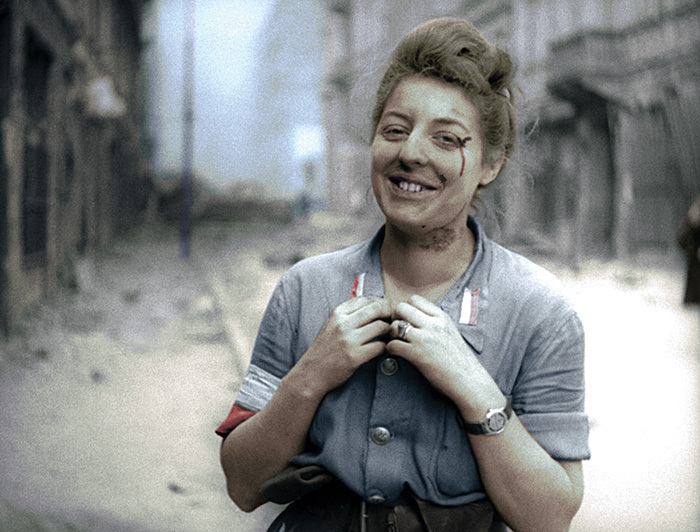 Colorizing work was supervised by a renowned Polish cameraman Piotr Sobociński Jr. Screenwriting was done collectively by Jan Ołdakowski, Piotr Śliwowski and Joanna Pawluśkiewicz, while Joanna Brühl and Milenia Fiedler served as editors. The music was composed by Bartosz Chajdecki, who also provided sound design for what has been, until now, completely silent documentary material. 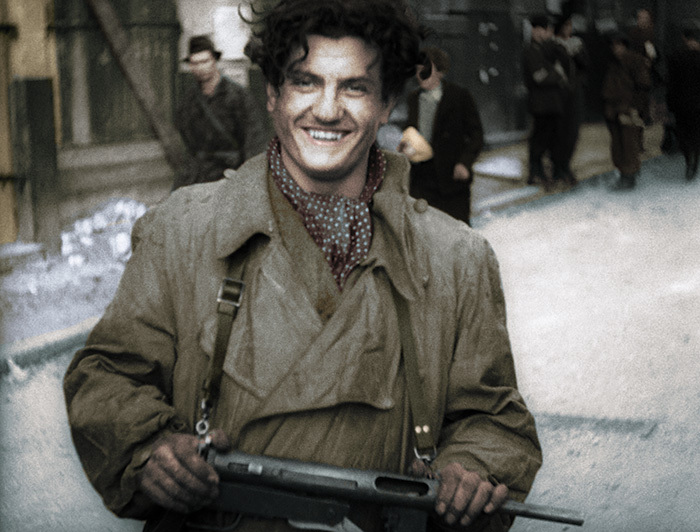 Striving for the best quality for the film’s colourisation, the Museum announced a competition for the post-production of the newsreels, with Orka Studio winning the role. 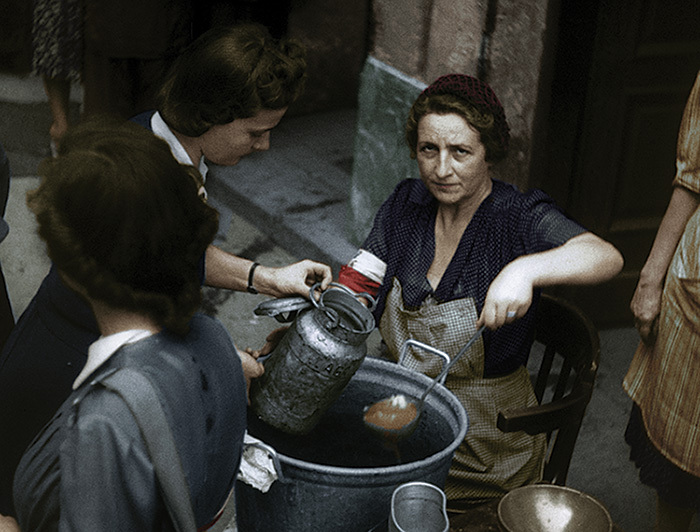 The first stage of the process involved stabilising the footage, then restoration, including initial colour correction of the black and white material. At this stage most of the work also involved manually repairing image deformations, removing dirt, dust and film damages and achieving grain control. 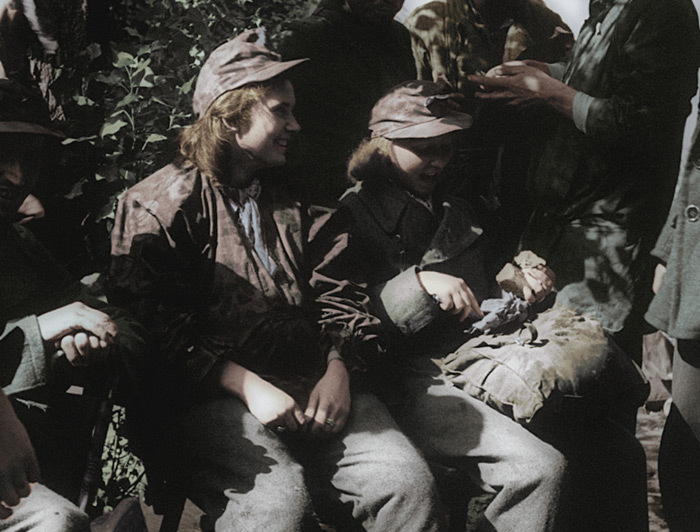 Proper colourisation of the old footage was a great challenge. Before starting the colouring phase a reference base was gathered of several thousand photographs of weapons and armament, uniforms, equipment, civilian clothing, urban infrastructure, signs, several hundred photographs of different types of setts, flagstones etc. 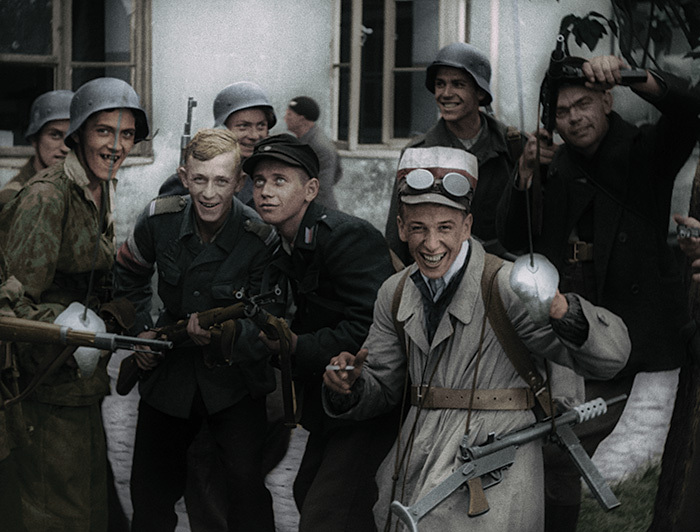 Historical accuracy was overseen by historians from the Museum, experts in urban studies and architecture, Warsaw buffs and consultants in weaponry and armament. Because the material used was greatly worn out or damaged (likely due to the original film development happening during conflict and from improper storage), it was difficult in many cases to select the right colour. Each take after preliminary colouring required a detailed description and countless consultations with history experts. After standard colourisation was completed the film producers invited well-known cinematographer, Piotr Sobociński Jr., to work as colour grading supervisor. He was responsible for making the film as authentic as possible and for making sure the colour grade applied in post-production was the same throughout the entire movie. Original footage had been recorded without sound, which gave Bartosz Putkiewicz (sound director) an exceedingly difficult task. Hundreds of hours were spent in the studio trying to reproduce the sounds of the city during the uproar: gunshots, explosions in addition to collaboration with criminologist who reads lips, these are only a few challenges that Bartosz Putkiewicz has faced. As a result, the movie will be, for the first time in history, “heard” and its heroes will speak up from the big screen. However, the effect of sound and colour reduces the distance one feels from the period and the historical events acquire a new dimension. They simply become real. 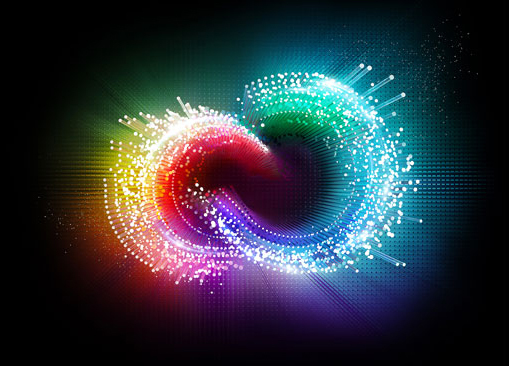 “The past” – as Norwid once postulated – “becomes the present, only somewhat further away”. The Bureau of Information and Propaganda of the Union of Armed Struggle – Home Army Headquarters (BIP) was established at the beginning of April 1940. The main task of BIP was to inform Polish ex-pats in London about the actions of the Polish government, also to document the activity of the German occupying forces and engage in psychological warfare with the German propaganda. Section A (Information and Film) of BIP organized clandestine workshops on photo reportage, directing and how to operate a megaphone. Only a small portion of the material filmed survived to this day and after WWII no-one knew how much material survived. A full set of films (122 rolls) had been hidden prior to the fall of the uprising by soldiers of the “Chwaty” unit in a cellar of a house. Rolled up film was first placed in automobile gas generators, covered with tight lids and wrapped in tar paper and then put into containers. These containers were dug up in 1946 and the material was transferred for conservation and processing works and afterwards edited by Wacław Kaźmierczak on a 35 mm film entitled Fighting Warsaw. Unfortunately, soon afterwards the material “disappeared” in the vast depths of the People’s Poland archives to resurface again in 1956 all cut up into short pieces and carelessly put together without maintaining any chronological order. From the available newsreel footage the filmmakers constructed a story of two brothers, both cameramen, who documented the uprising. 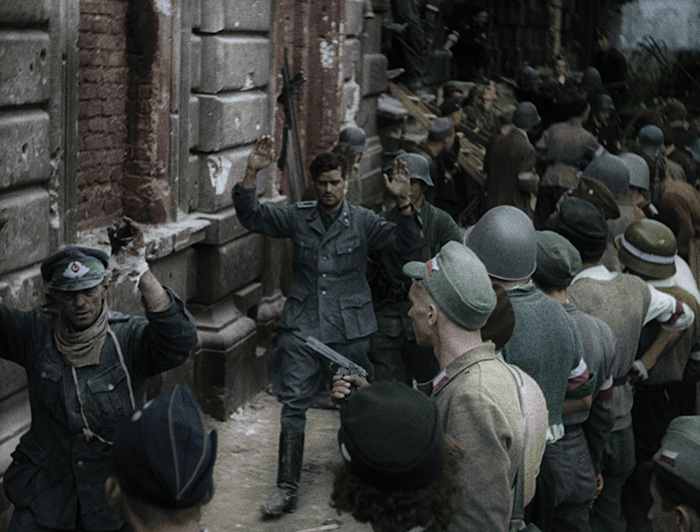 The idea of colorizing the newsreel footage from the Warsaw Uprising of 1944 seemed odd at first, especially since the black and white images published in Polish books and picture albums about the uprising became a permanent feature in the Polish collective imagination. However such traditional portrayal tends to isolate the past, separating it from the present with an impassable barrier. The film’s novel form combined with the visual richness and powerful message contained in the archival material make the film exceptional viewing experience. The project’s educational and social value is also worth noting: by removing the black-and-white curtain we stand face to face with the uprising as close as never before. Thanks to the advancements of modern technology the viewers have a rare opportunity to get to know anew one of the most important episodes in Polish history. 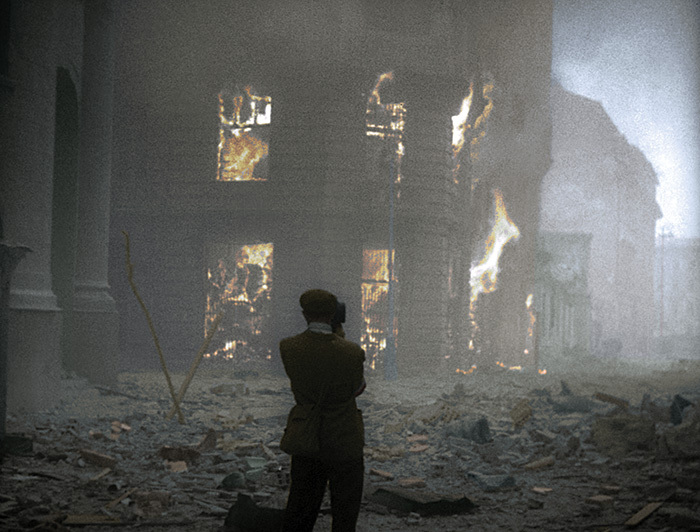 Looking at the archival material used in this feature film we experience a cognitive dissonance – while it still represents an important page in Poland’s history, the film looks as if it were shot contemporary with the help of film set designers, costume experts, abundance of authentic props and numerous visual effects. 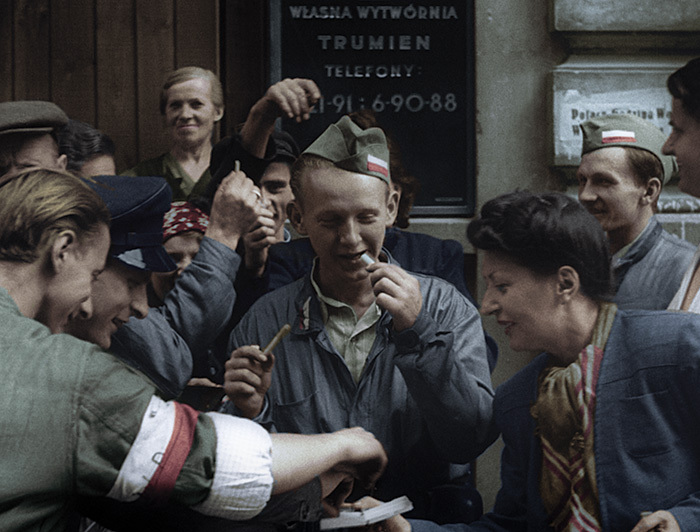 Warsaw Uprising was slated for a May 9th 2014 release. Check local listings for times and locations.